The India Meteorological Department has said that an approaching western disturbance will likely result in dust storm and thunderstorm along with gusty winds in some areas over Delhi during the next 24 hours. 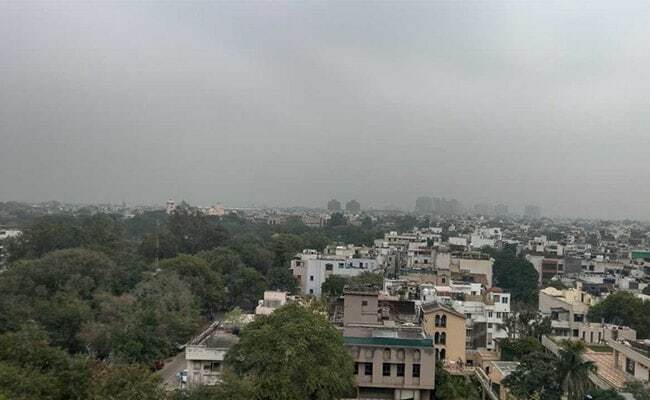 Delhi witnessed light rain today morning bringing some relief to the residents of the national capital from the heat conditions. Noida, Gurgaon, Ghaziabad and Faridabad adjoining Delhi, too, received some rain. Yesterday, the temperature in Delhi had soared to 40 degrees Celsius. The presence of moisture over Delhi had made Thursday hot and humid. "Thunderstorm/Duststorm accompanied with gusty winds (wind speed reaching 30-40 kmph) and lightning at isolated places very likely over Punjab, Haryana, Chandigarh & Delhi, West Uttar Pradesh and Rajasthan," the website of the weather department said. The weatherman said the maximum temperature in Delhi may reach 37 degrees Celsius today. The minimum temperature was recorded at 23 degrees Celsius on Friday morning. The humidity level in Delhi was recorded at 72 per cent. The weatherman has predicted a partly cloudy sky with a possibility of rain or thunderstorm or dust storm on Saturday.